The iPad Mini 4 is Apple’s newest mini iPad. What sets the iPad Mini apart from Apple’s other tablets is that it is a powerful, efficient device packed into the smallest, lightest package. If you are looking for a tablet for your basic day-to-day needs and want a portable device that can easily fit into your purse or backpack, the iPad Mini 4 is a great choice. What Is an Apple Tablet? What Is the iPad Mini 4? In this guide, we will review Apple’s iPad Mini 4 and take an in-depth look at its specifications. With so many different tablets to choose from, it can be overwhelming to determine which tablet to pick. Continue reading to find out if the iPad Mini 4 is the best tablet for you and see how it compares to a few of its competitors. Apple is a technology company known for selling some of the best electronic devices on the market. Its iPhones and iPads are some of the best selling and reviewed smartphones and tablets in the world. Apple is unique from its competitors because it developed its own technology called iOS that is different than the typical Android operating systems that other devices use. Purchasing an iPad from Apple has many benefits, including great customer service, many locations around the world to service your devices, a one-year warranty for your device and the security of knowing you’re buying from a trustworthy brand. As already mentioned, Apple developed its own operating system called iOS that the company constantly improves and updates. Currently, Apple is on the 11th version of iOS. This operating system’s design has convenience in mind. If you’ve ever used an iPhone or iPad before, you are likely familiar with how simple it is to swipe, enlarge or tap with your finger as you navigate the device. Apple also equips its iOS with other useful features like predictive typing, Siri, iCloud, face recognition or fingerprint security access, and easy connectivity between all your Apple devices. The iPad Mini 4 is an Apple tablet equipped with iOS that you can use to play games, listen to music, watch videos, stream content, browse the internet and much more. People are often drawn to the iPad Mini because it is smaller and cheaper than Apple’s other tablets. They also like the fact that if they already have an iPhone or MacBook, they can easily share information and apps across all their devices. In spite of the iPad Mini 4’s small size, it still has some impressive specifications. The iPad Mini 4, much smaller than Apple’s other tablets, has a screen that is only 7.9 inches. This makes it super easy to pack your tablet with you wherever you go. It is 0.65 pounds and 6.1 millimeters thin, so it will fit in small spaces and feel light in your hands even after hours of use. Whether you just want a tablet that you can take with you on your everyday outings or a tablet that fits in your carry-on and can travel with you around the world, this is the ideal tablet for people on the go. You’ll be surprised at how crisp the graphics are on this small iPad. The screen has a resolution of 2048 by pixels. 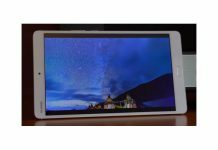 It is lit up with an LED backlight and a fingerprint-resistant coating protects it from smudges. The display is fully laminated and also has an anti-reflective coating. Many of Apple’s customers are very happy with the anti-reflective coating on the iPad Mini 4 and say it makes a huge difference in allowing you to see your phone screen in bright light and outdoors. The iPad Mini 4 contains a 19.1-watt lithium-polymer battery that allows up to 10 hours of internet use before needing to be charged. It comes with an A8 chip, an M8 motion coprocessor and a 64-bit architecture. Although this chip is not Apple’s most advanced chip, it has plenty of power for all your basic tablet needs and more. Whether you like to play games, stream your favorite shows or check on your social media, the iPad Mini 4 can handle it. The iPad Mini 4 comes with only one storage option of 128 GB, which is plenty of data to store all your games, music, movies, emails and pictures. Although the iPad Mini 4 automatically allows you to connect to WiFi, it is capable of doing even more. Through Apple SIM, you can you connect your iPad to a data plan that will give you internet access even when you don't have access to WiFi. Of course, this feature costs more and you will need to purchase a cellular plan, but it is handy to have internet access wherever you take your portable, lightweight iPad. Although many people prefer to take pictures and videos using their iPhones or other smartphones, many more people have begun using their tablets to capture their memories wherever they go. It’s not uncommon to see people holding up tablets to take pictures of their family or surroundings at popular tourist sites. As a result, many electronic companies, including Apple, are improving the cameras on their tablets. The iPad Mini 4 comes with two cameras, including an 8-megapixel rear camera for taking quality photos. Taking pictures with the tablet is easy with features like autofocus, face detection, Auto HDR and more. There is also a 1.2-megapixel HD camera for FaceTime. The iPad Mini 4 is capable of recording at 1080p with an fps of 30. There are some cool video features like slo-mo, time-lapse video, image stabilization and 3X zoom. Apple strives to make its products, including the iPad Mini 4, with materials that have a low impact on the environment. The iPad Mini 4’s display is mercury-free and arsenic-free, and Apple ensures that the iPad Mini 4 is free of BFR, PVC and beryllium. The tablet’s aluminum enclosure is recyclable, and products from manufacturers are disassembled and tested to ensure they meet Apple’s high environmental standards. The iPad Mini 4 is relatively affordable for such a high-performing tablet with so much memory capacity. If you choose to buy an iPad Mini that is only capable of accessing WiFi, then you can expect to pay $399. If you purchase an iPad Mini 4 with WiFi and cellular capabilities, the price increases to $529. Also, if you want to add on AppleCare+ to get two years of tech support and accidental damage coverage, you will need to pay an extra $69. These prices are what you would pay before tax if you purchase the tablet directly from Apple. 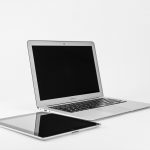 While there are perks from buying your tablet from Apple, like a guaranteed warranty and AppleCare, you can find the tablet cheaper through other retailers. Amazon, for example, has some iPad Mini 4s available for closer to $360. Make sure to shop around for the best deal. The iPad Mini 4 has many competitors. Here are the specifications of a few other similar tablets so you can make an informed purchase. Ease of Use: 4.2/5 Stars- This iPad is larger than the iPad Mini 4. It weighs 1.05 pounds, has a 9.7-inch screen, and is 7.5 millimeters thin. 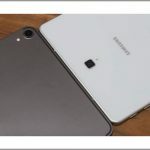 Although this tablet is not as small and light as the iPad Mini 4, it is still small enough to around with you easily, and it will feel light while you use it. 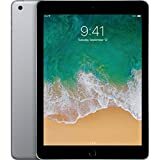 This iPad has iOS 11, just like the iPad Mini 4, so overall, it is an easy-to-use tablet. Build Quality: 4.4/5 Stars- As far as performance goes, this tablet is better than the iPad Mini 4. It has a better display resolution, an advanced A10 chip and M10 coprocessor, and more camera features. This tablet also supports Apple Pencil, which is a useful tool for games and note taking. This tablet does not have an anti-reflective coating, but it does have Apple’s IPS technology. Warranty: 3/5 Stars- Apple provides a one-year warranty for its products. If you want more coverage and tech support, you will need to pay up to an additional $100. Ease of Use: 3.8/5 Stars- This Galaxy Tab A has an 8-inch screen, weighs 0.79 pounds and is 8.9 millimeters thin. In all aspects, it is bigger than the iPad Mini 4. 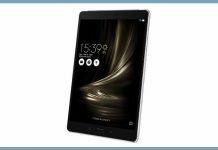 This tablet is also more basic than the iPad Mini 4 and doesn’t have as many special features for convenience, but it is about half the price. Build Quality: 3.7/5 Stars-For such an affordable tablet, the Galaxy Tab A has some impressive specifications as far as performance goes. It utilizes a quad-core processor, can run for up to 15 hours and has an 8MP rear camera. Its graphics are significantly worse with a resolution of 1280 x 800, and the device only comes with 32GB of memory. You can add more memory using a microSD card, but you would have to purchase one of these cards separately. Compared to the iPad Mini 4, this tablet will likely feel significantly slower when running more demanding apps. Warranty: 3/5 Stars- Samsung only offers a one-year warranty on its products. If you are in the market for a new tablet, Apple makes some of the best-performing tablets you can buy. The iPad Mini 4 is no exception. Although the iPad Mini 4 is not as powerful or efficient as Apple’s other tablets, it is still more powerful than competitors from other companies. While other companies might have decent lightweight tablets, the iPad Mini 4 is the best at packing a powerful system into such a tiny package. If you need the smallest iPad possible, then the iPad Mini 4 would likely be the best choice for you. However, if you care more about performance and don’t need such a small device, the new iPad would be a better choice for just $30 more. 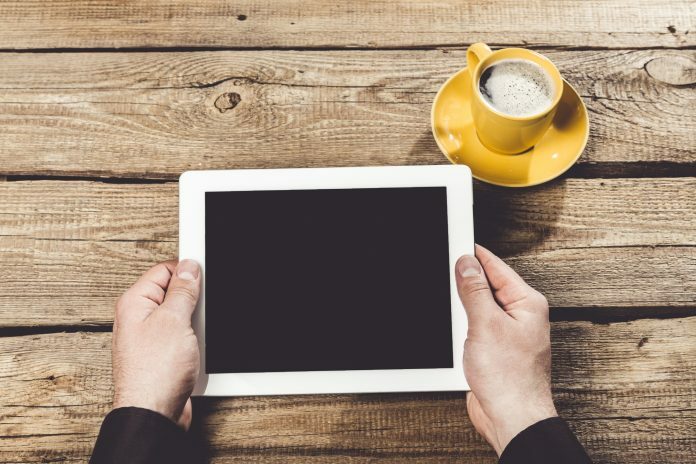 Although you’ll have a bigger and heavier device, the new iPad is a great value. Apple tablets are not cheap. If you are on a budget, the Lenovo Yoga Pad 3 is a decent alternative. Although it does not perform as well as an Apple tablet, the stand on this tablet makes it unique and easy to use. 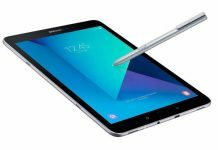 Previous articleTablet Vs Laptop: What Are the Differences, and Which One Is Best?